Are you counting down with me to the next Blogger’s Quilt Festival? It’s just three weeks away! I’ve been lining up some great sponsors, and I’m looking forward to seeing what everyone will enter! If you haven’t yet, check out the BQF page, and make sure you know what to include in your post, I’m hoping to streamline the nomination process! I made a couple of quilty things in Jr. High and High School sewing classes, but I didn’t really start quilting until college. At the end of my freshman year, I saw one of my neighbors standing on her balcony showing her roommates a quilt she had made. I thought it was very cool and wanted to make one too. I later found out she had made it in a class, so I signed up for the class the next year. It was a night class and some of my friends were in it too, so we had a grand time piecing sampler blocks while watching CMT and talking about boys. The teacher of that college class once told us all that a double wedding ring was a really hard quilt to make, and was not for beginners…so I shimmied on down to the fabric store, bought a pattern and made my second quilt a double wedding ring. That’s pretty much how I got started. I have so much fun designing most of the quilts I make…I love the feeling of finishing a quilt…and I kinda love to give them away. 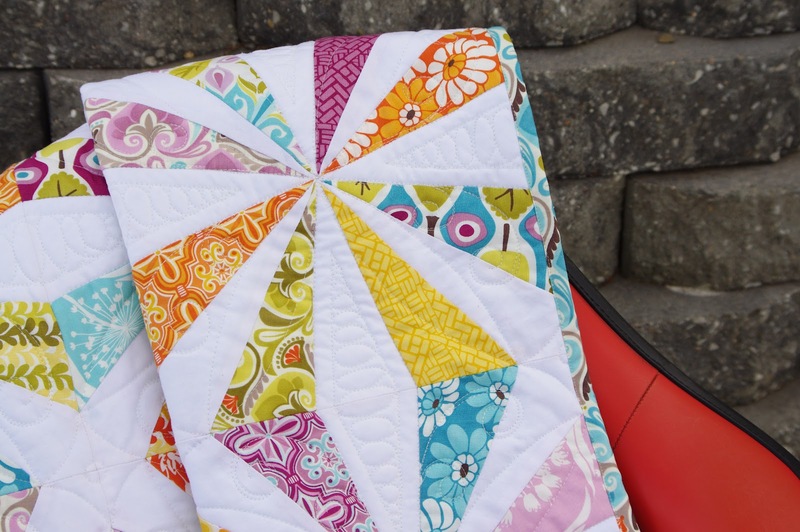 Clean your work space every time you finish a quilt. This is probably more of an organizational tip, but I think it has made me a more effective quilter overall. I have been trying to do this for the last year or so and it has worked out surprisingly well. Previously, my quilting rooms have always been a giant mess…I probably could have used an intervention. 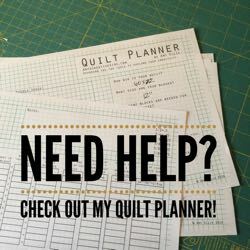 I usually have several projects going on at one time (as I’m sure most quilters do) so it just never seemed like a good time to clean…so I never did. Well after I gave my quilting room a makeover last year and it was so beautifully clean, I decided to try cleaning after every quilt finish…which for me is probably every 3-4 weeks. I have been surprised how much faster I can work when I’m not constantly hunting through piles of fabric and junk just to find my rotary cutter. And now I actually use my cutting table for cutting…not just storing piles of stuff. If you have a chronically messy quilting space, try it. The cleaning might be a bit painful at first, but it will be totally worth it when you find that missing Chaco Liner! Occasionally I sew skirts or dresses for my girls, curtains, pillow covers…I’ve tried a little bit of everything, but I always go back to the quilts. Nice to meet you Cynthia. 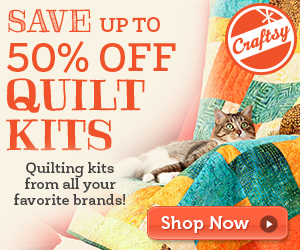 Your quilts are stunning. Having a clean table – it is a very good tip and I try to do as well. Love your quilts, I like your modern scrappiness. 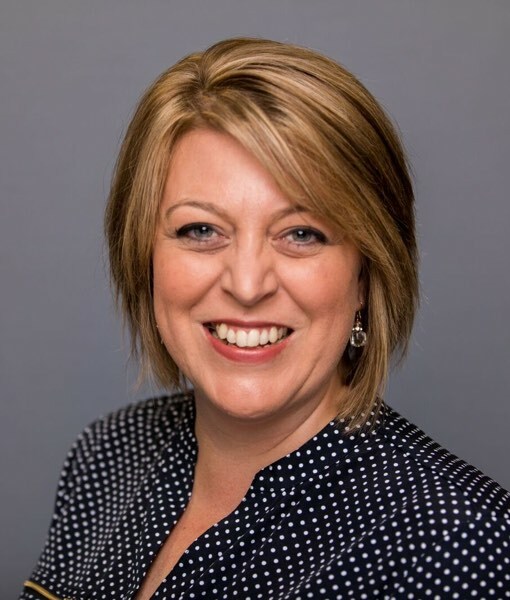 Thanks for sharing more about Cynthia! I love her blog and I”m totally going to try nutter butters and ice cream now. Oh yeah, i clean up after each project and in betwwen as well. When i’m done cutting pieces from a fabric for a quilt, i put that fabric away. Its the only way to work for me and really it only takes two or three minutes. Now, the threads on the floor are another story! 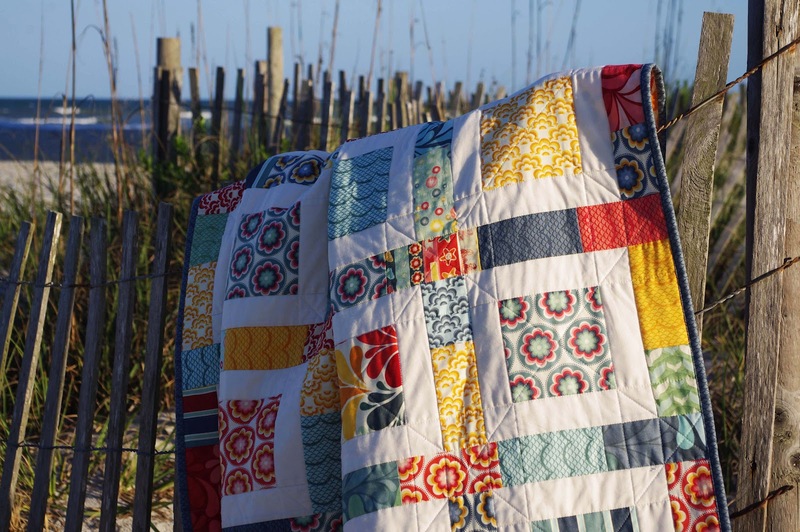 Wonderful interview and beautiful quilts…..I popped right over to your blog and think I’ll follow a long. Thanks for the nice feature Amy! Can’t wait for the festival!